The renovation of the industrial unit involved the removal of an existing brick constructed office and toilet facility, the installation of a new concrete floor within the training facility and two new loading doors with concrete yard. The client also wanted to create a smart first impression by fitting a glass fronted entrance being accessed by a dedicated car park. 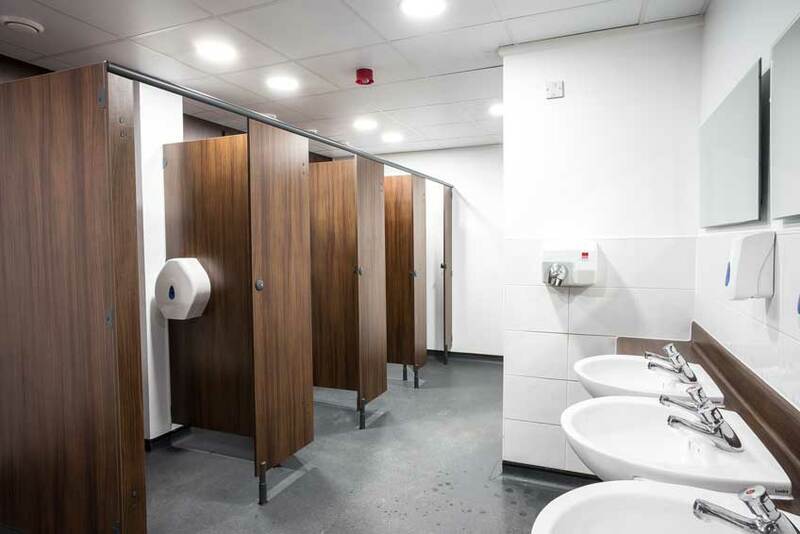 Internally, the existing office block was totally refurbished, new offices and classrooms were installed including walls, suspended ceilings, floor coverings and M&E works. Within the new training facility, Teepee constructed separate toilets, a locker room, rest area and a 200-seat auditorium. 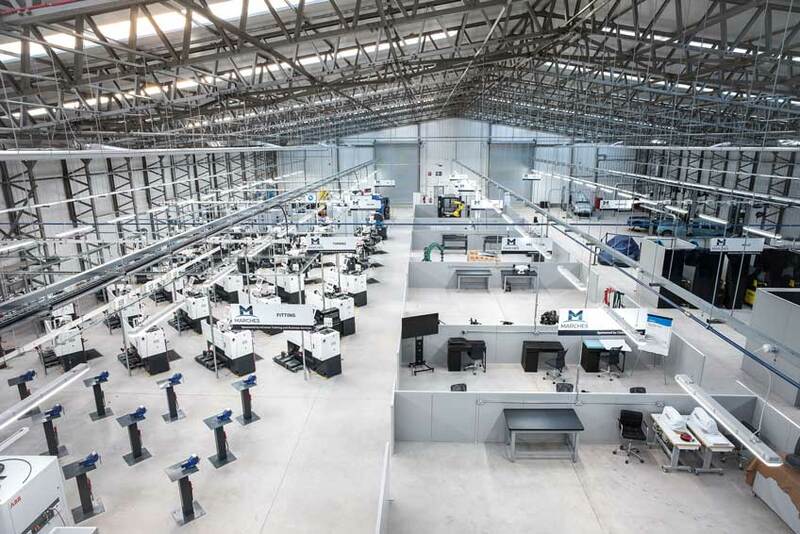 Within the impressive workshop a dedicated fabrication unit, foundry, lathe, metrology, milling, robotics and vehicle trimming sections were installed, including a CNC zone, designed for 3/5 axis machines. The Teepee team carried out a detailed site survey of the building and then worked in conjunction with the MCMT project team to produce initial concept layouts before finally agreeing working drawings. Prior to commencement of any work an asbestos report of the building was undertaken, including obtaining building regulations approval and landlord’s permission. To separate the new welfare and auditorium facilities from the workshop, a new 10 metre high one-hour fire rated jumbo stud wall was erected. 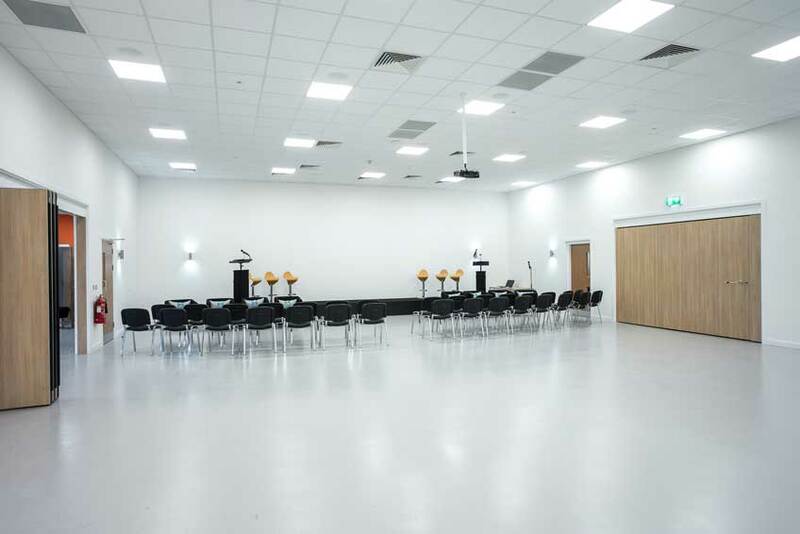 Within the welfare and auditorium area itself, breeze block and stud partition walls were installed to segregate different areas, including supplying two sets of bi-folding partition doors to allow local businesses to rent the auditorium area, for conferences or exhibitions. 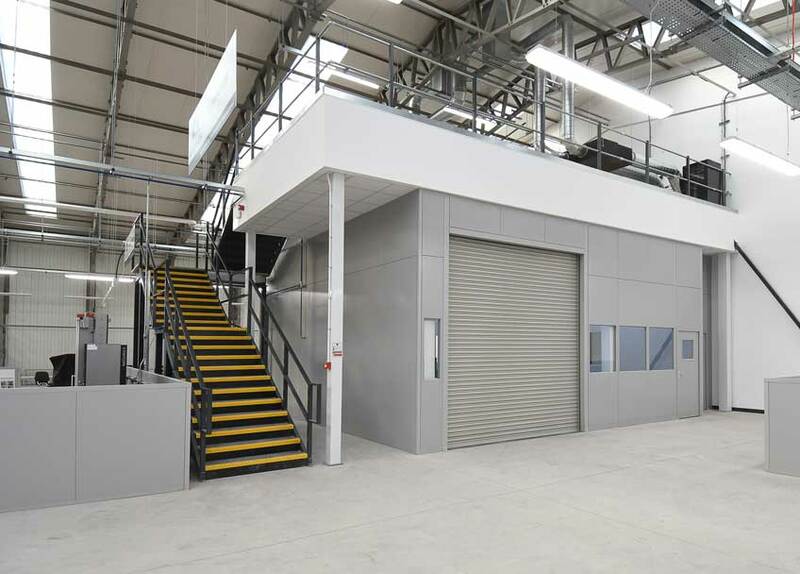 In the training workshop a mezzanine floor was constructed to locate all HVAC services and a metrology room was installed below to fully utilise the space. Finally, to sub-divide all other areas full and half height double skin steel partitioning were fitted. When fitting out the new training facility, Teepee installed suspended ceilings, floor coverings, general lighting, high level radiant heating and all electrical and mechanical supplies for machinery. Due to the size of the project and the number of specialist machinery suppliers, we supplied a full time onsite manager to oversee all works in conjunction with CDM Regulations 2015. 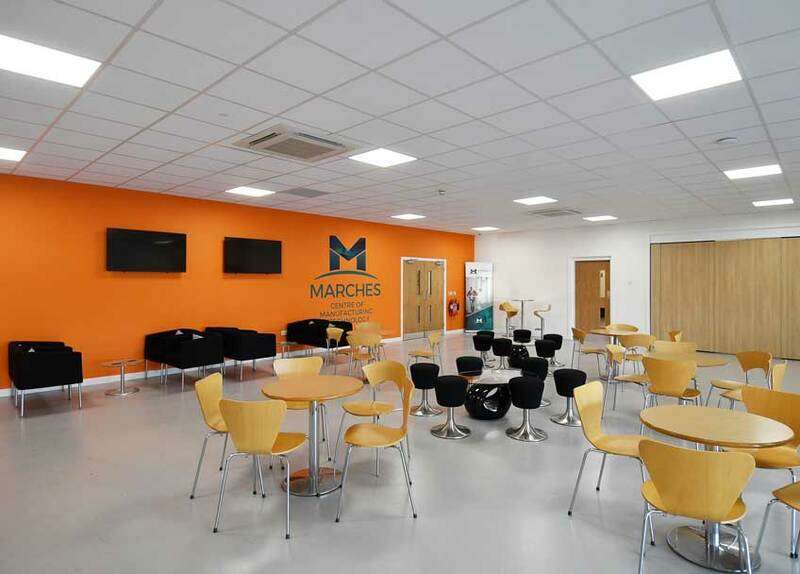 Throughout the process regular onsite meetings were held with all contractors involved to ensure that the objectives of the Marches project team were continually met, including the implementation of any design changes. A 36,000 sq ft (3,346m2) state-of-the-art training facility including auditorium / exhibition room, training classrooms, offices, welfare facilities and a training workshop. Specialist manufacturing and technology centre to provide training for apprentices and existing workforce. Auditorium designed to allow local businesses to rent for conferences or exhibitions. Acted as principle designer and contractor. Obtained building regulation and landlord’s approval on client’s behalf. Our Brief MCMT were looking for a company to undertake the design, renovation and internal fit out of an existing 36,000 sq ft (3,346m2) industrial unit with offices and convert this in to a new training facility.